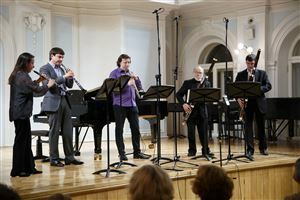 Philip Nodel finished the Moscow Conservatory, where he studied with prominent oboe professor Alexey Utkin. From 2000 on he collaborated with many Russian orchestras and ensembles - Russian National Orchestra, National Philharmonic of Russia, Tchaikovsky Symphony Orchestra, Moscow Virtuosi Chamber Orchestra, Musica Viva Chamber Orchestra, Ensemble Hermitage and many others. Musician performed with such famous musicians as Natalia Gutman, Eliso Virsaladze, Alexander Rudin, Valery Popov, Alexey Utkin. From 1999 he also started to play the baroque oboe and studied with Alfredo Bernardini, Marcel Ponseele and Ku Ebbinge. In 2003 Philip Nodel became a founding member of the first Russian early instruments orchestra Pratum Integrum together with the producing company Essential music. During the last decade he has recorded around 20 CDs for the company Caro Mitis together with Pratum Integrum and also with Alexey Utkin and Ensemble Hermitage. In 2006 Philip Nodel together with his colleagues, playing wind intruments founded the ensemble "L’esprit du Vent", that specializes on performing music written for wind instruments from 1700 to now. Philip Nodel played in many cities in Europe and USA as well as in Russia - St.-Petersburg, Novosibirsk, Petrozavodsk, Krasnoyarsk, Chita, Orenburg, Kaluga, Perm and Ufa. In many of these towns he also regularly gives master-classes and exhibitions of oboes and reed-making accessories. Philip Nodel is teaching at the Moscow State Tchaikovsky Conservatory and also at the College and Music School under Moscow Conservatory. 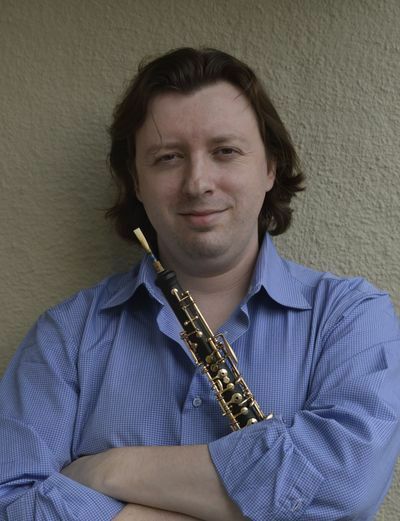 He also is one of the founders of the first Russian website about oboe and moderates the Internet oboe group, uniting more then 900 oboe players all over Russia. In the last several years Philip Nodel has taken part as a Jury member in oboe competitions, he has closely collaborated with «I’Culture Orchestra» of Eastern Europe Partnership as an oboe tutor and has represented F.Lorée at the International Double Reed Society (IDRS). Philip Nodel plays on a Lorée ROYAL oboe, and also an oboe d’amore and English horn by Lorée. In 2007 P. Astapenko was a member of jury at the International Competition, a part of musical project “Gilels - Kogan” (Moscow). The musician performs frequently as a soloist and a member of chamber ensembles. He collaborated with А. Rudin, А. Ljubimov, А. Utkin, I. Hoffmann, R. Komachkov. 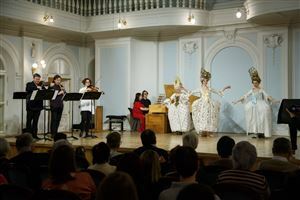 P. Astapenko performed at Musical Festivals in Innsbruck, St. Petersburg, Novosibirsk, Kostomuksha, Pitsunda and other cities. Since 1999 the musician has combined modern oboe playing with studying of its historic species. P. Astapenko took part in master-classes of such outstanding performers of old instruments, as Alfredo Bernardini (Innsbruck 2000 - 2002), Frank de Bruine (Kothen, 2001), Marcel Ponseele (St. Petersburg, 2001), Ku Ebbinge (Moscow, 2001). He also participated in master-classes of K. Schneider, S. Francis, А. Klein and N. Daniel in modern oboe. In 2001 – 2003 P. Astapenko was a soloist of “Hermitage” ensemble directed by Alexey Utkin. Since 2002 he has been a soloist of Academic Chamber Orchestra “Musica Viva” directed by Alexander Rudin. The musician is frequently invited as a soloist to the well known Moscow orchestras (“Virtuozy Moskvy”, Russian National Orchestra, National Philharmonic Orchestra of Russia). Since 2003 P. Astapenko has been a soloist of the first Russian Orchestra of old instruments “Pratum Integrum” directed by Pavel Serbin. In 2006 the musician founded the ensemble of wind instruments “L’Esprit du Vent”. 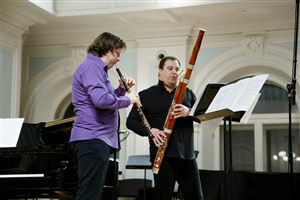 P. Astapenko plays the oboe made by French company “F. Loree”. The musician has collaborated with the company for years.